5 stars, fantastic sci-fi and speculative fiction for the adult reader. 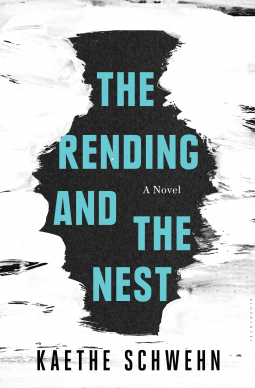 The Rending and the Nest is one of the most compelling, unique, sad, and hopeful books that I have read. At its core this is a character-driven book set in a post-apocalyptic setting, using that setting to delve into topics of community and the human condition… when everything we knew from before is left behind, how do we persevere? This is a beautifully written novel about the creation of your own story in the wake of some kind of world event that eliminates 95% of the world’s inhabitants. The narrator is Mira, who was 17 years old when the Rending happened and her tale describes the happenings of the six subsequent years. 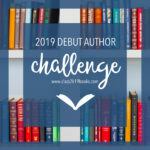 An explanation is never provided for what happened, but much like the characters in the book, that answer became less important to me as I continued to read – the Rending was a new birth for those that remained, a new beginning. The world they inhabit after allowed themselves distance from their past if they so chose. The world After was not necessarily better, just different. While the characters long for the Before as the greener pastures, their lost family and friends, there is some clarity in that people tend to always want something other than where they are – always wanting more, or different – and that was no different in the Before. This is an amazing book about the human condition and what drives each and every one of us. I cannot recommend this book enough. Thank you NetGalley and the publisher, Bloomsbury USA, for the ARC and opportunity to read this book in exchange for an honest review. You can find information about my rating criteria here.